HARRISBURG, January 19, 2017 – On Monday, Sen. Anthony H. Williams (D-Philadelphia/Delaware) joined Rep. Joanna McClinton (D-Philadelphia) to host an expungement clinic as part of the Martin Luther King Day of Service efforts. “The expungement process helps individuals put the pieces of their lives back together,” said Williams. Expungement is a legal process that removes a criminal record from public view and restricts access to law enforcement agencies. The senator expressed the importance of providing legal service and counsel to residents as being paramount to helping make the community stronger and allowing people to have the second chances they deserve. “The past should not hinder a person who has taken the appropriate steps to make things right and is working toward being a productive member of their community,” Williams said. 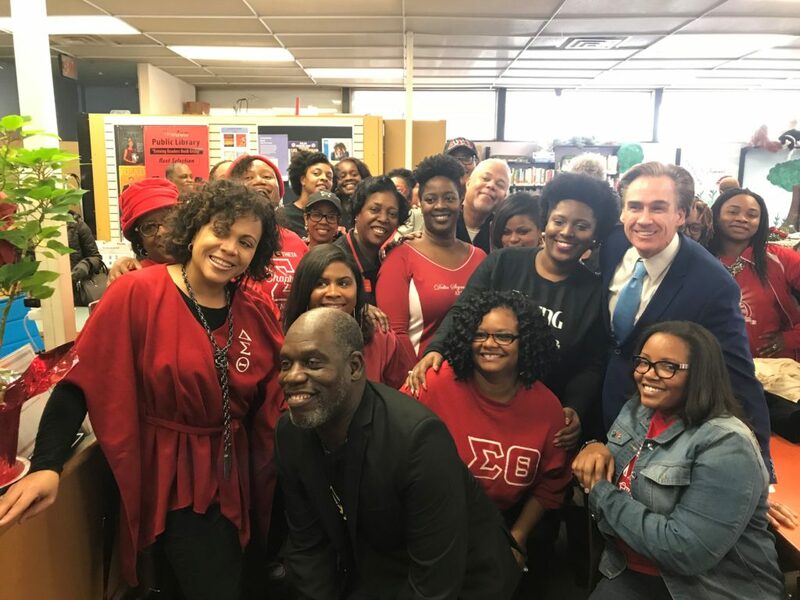 The clinic provided services to 50 residents of Delaware County and was held in partnership with the Legal Aid of Southeastern PA and the Chester Alumnae Chapter of Delta Sigma Theta. Lt. 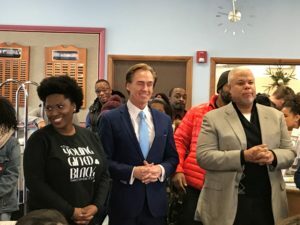 Governor Stack also attended the event to show his support. For more information regarding the clinic, visit Sen. Williams’ website or contact his district office. Williams is a sponsor of “Clean Slate” legislation. The bill, Senate Bill 529, would reform the criminal justice system by eliminating hurdles faced by individuals who have a criminal record who apply for work. Clean Slate allows for the expungement or sealing of the records for minor, non-violent offense. The measure passed the Senate in June 50-0 and is now in the House Judiciary Committee.